During the last holiday I had great plans on making home made lavaş every day but then tragedy struck. I cut my finger very deeply opening a can of something. Slow food really is safer! I am sure I had to go to the hospital for stitches but my husband calmly took a bandaid and taped it up. It took 5 days for it to just seal and now I have a large scar on my finger tip. As a result my family got to partake of one day worth of lavaş and for the rest of the holiday we went bread free. Very hard thing for a Turk to do as they need bread to feel full, if they dont have bread on the table they think thier throat has been cut. This is very easy to make. I cooked this using my flat crepe pan but you can use an electric frypan or any telfon pan. I rolled this out quite thin but not too thin. If it is too thin it goes crunchy and breaks. This stays soft and is nice and flaky when you rip it. Using the above ingredients I make a soft dough, knead it for 5 minutes until soft then let it rest for a few minutes before rolling out into circles to be cooked. I would use about 2 or 3 tbsp of oil as this makes the end product nice and soft. These have been rolled out to about 3 mm thickness. Labels: Lavaş. Flour. Flat Bread. How to Make Lavash. Kısır is one of those classic dishes in Turkish Cuisine. I have been to a few different areas in Turkey and have seen this made differently in most. As my husband is from the Adana region this is how I usually make it. I found in Adana they use large amounts of chilli powder, either lemon juice or sour pomegrante syrup and more salad vegetables. Istanbul uses less salad and less chilli and dosnt seem to use lemon juice. In Konya they use no chilli, no salad and use cooked grated potato instead. In Gaziantep they use less salad, less chilli, lots of dried mint and garlic. Other areas are a mix but my favourite really is the Adana style Kısır. The photos have my husband in them as I had badly cut my finger so I could do the required kneading needed. Take the bulgar and take about 1/4 cup of water and pour ontop so that it can absorb. Mix well and let sit. It will still be hard after 10 minutes. This has the sweet pepper paste, salt and pomegrante syrup ready to be mixed in. This is the only Kısır recipe I have seen that people knead the ingredients together. Other areas seem to let the bulgar fully absorb as to be soft and skip the kneading. As you can see the pepper paste has been mixed through. This would be a good time to add the oil. I dont like using alot of oil in my cooking but for this dish a little is really needed. It keeps it from drying out. Kısır is not that nice when its dry. Salad veggies added and ready to be kneading through. This is what it looks like. If it has been kneaded correctly the bulgar should be nice and soft with most of the salad been kneaded into the bulgar. This has to be kneaded for about 20 minutes. This is very filling and very light. Nice served iwith pickles and ayran. If anyone can help with the spacing on this post I would be grateful. Thanks. Labels: Kısır. Wheat Salad. Kneading. This is a light delicous soup perfect to serve for a formal dinner. 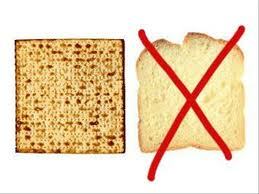 This will be making an appearance at our Passover. Wash the dandelion greens well and chop finely, put to one side. Peel potatoes and carrots and dice, put to one side. Put the chicken stock into a saucepan and add dandelion greens and diced veggies, garlic and salt. Cook over a high heat for 10 minutes then taste, add extra water and seasonings as desired. Turn down the heat to medium and continue to cook until the vegetables are cooked. Serve with lemon wedges on the side and or add the juice of one lemon to the soup before serving. Look at this great video showing all the wonderful dishes from Gaziantep.